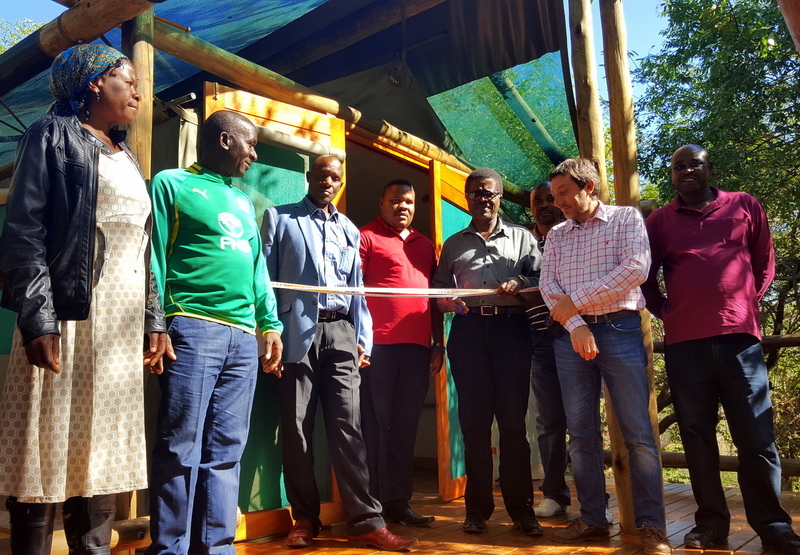 On 15 June, 2016 the “Enhancing Environmental Sustainability” Project Team handed Mtomeni Camp back to their Primary Co-operative owners. (Read the background to the project here.) The day was a celebration of achievements, training and hope for a progressive future. 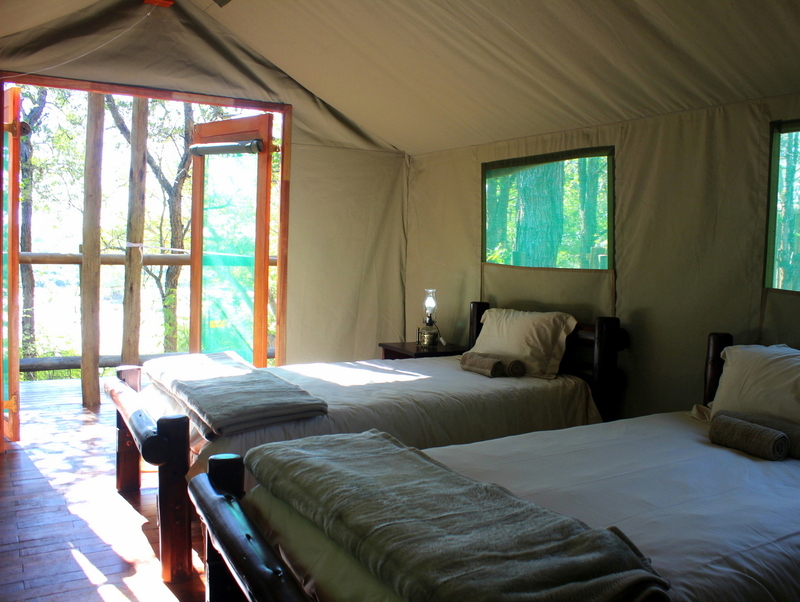 Secluded, private and in-sync with nature – the 7 new tents at Mtomeni offer guests an outstandingly eco-friendly visit. 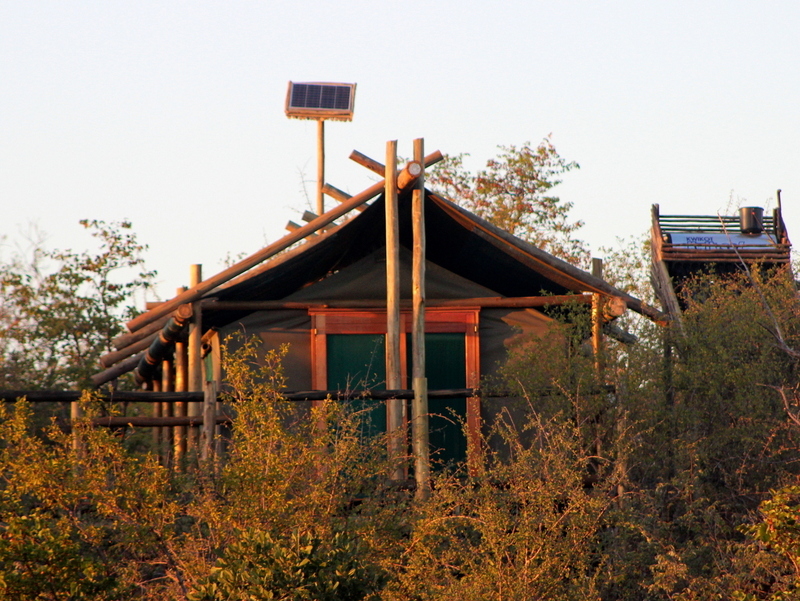 New safari units at Mtomeni are fully solar-enabled with lights, hot water & charging facilities all solar generated. 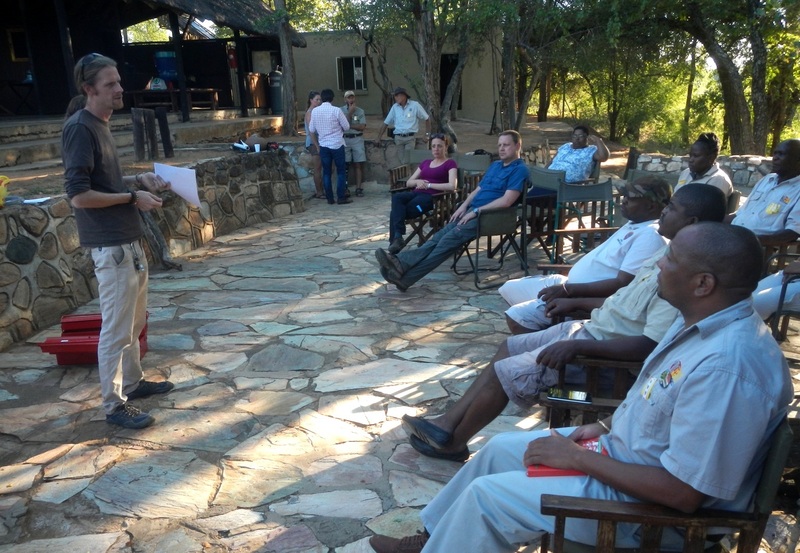 Community guests at the official hand-over ceremony at Mtomeni Camp. Paolo Caroli of CESVI spoke of the contribution by the European Union, and the importance of enhancing environmental sustainability for commercially viable eco-tourism. 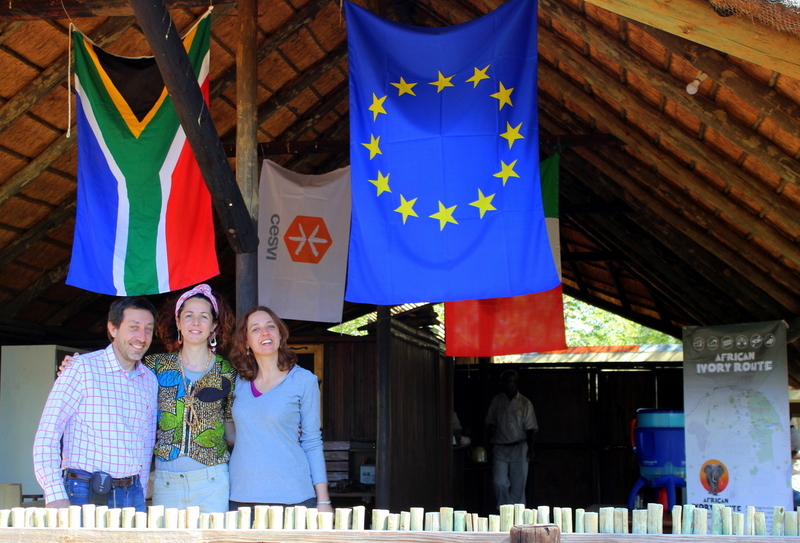 Paolo, Aurora & Patrizia of CESVI at the handover ceremony. Community leaders, both from the Traditional Authorities and Primary Co-Operative, join for the ribbon-cutting ceremony. 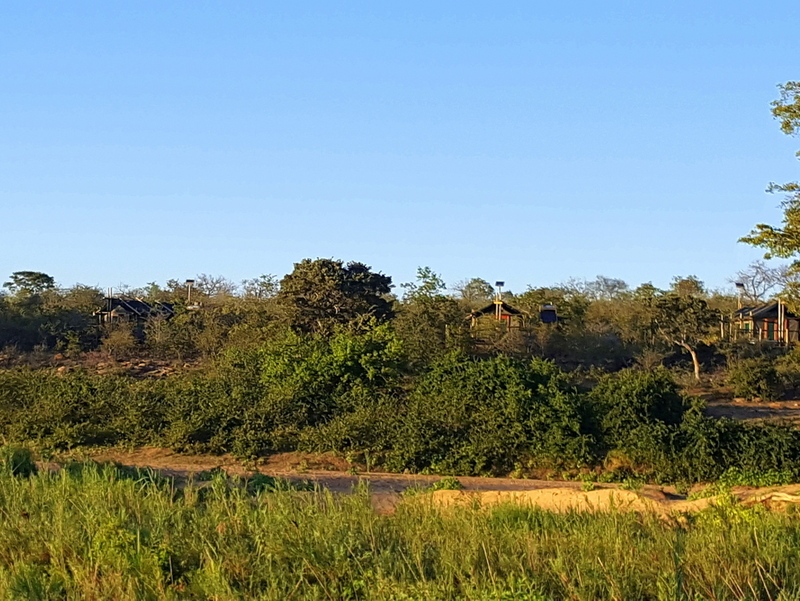 Secluded and sustainable, the new tents at Mtomeni will provide guests comfort in an environmentally sound operation. The new tent interiors offer 3*-standard comfort with linen on the beds, and a separate en-suite with shower, vanity and flush toilet. All electricity is solar generated. 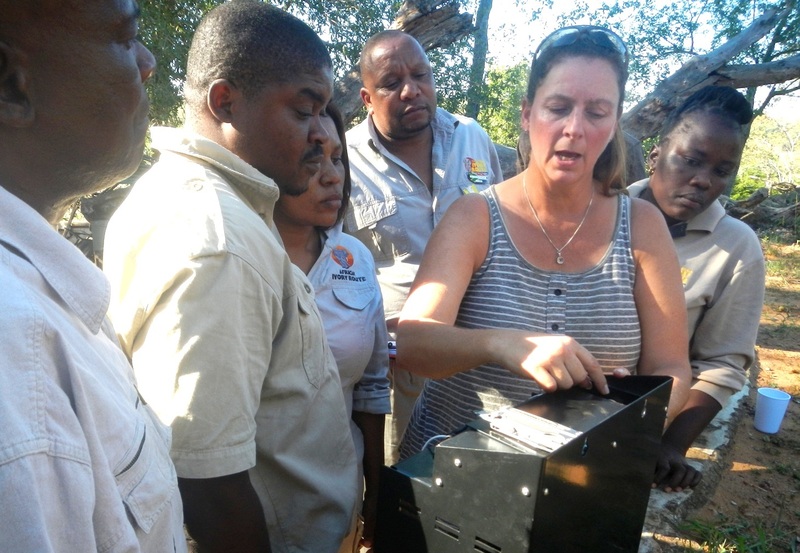 Mtomeni Camp staff learning about Solar from AllSolar’s Anita de Beer. An innovative charging unit means that guests can re-charge any device with a USB or 12V (cigarette lighter) charger. Can it be recycled? Vince takes the team through the details of what can and can’t be recycled. 7 new safari tents with all fittings and furbishings, including en-suites with running water. All electricity is solar-generated. Kitchen and dining area has basic solar lighting, new solar-charged fridges and deep-freezes are in place. Environmental management plan with recycling waste-management facilities. 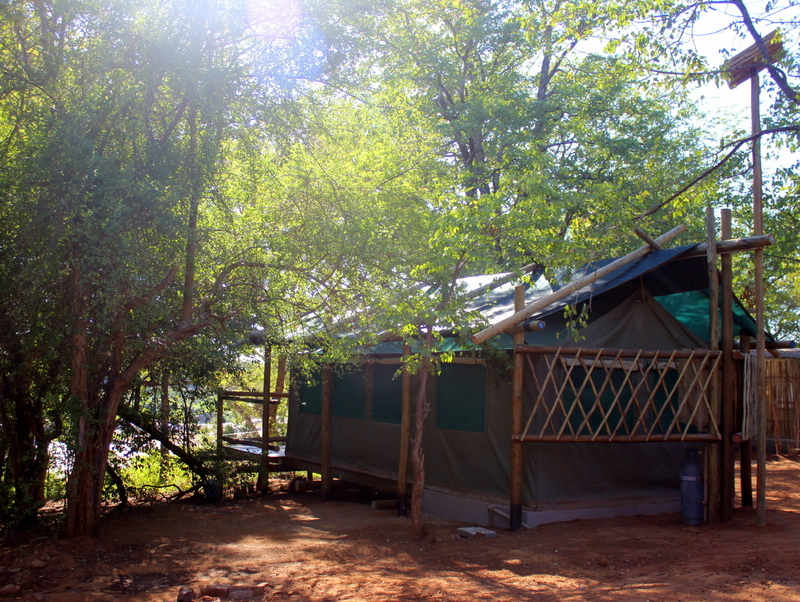 Follow the story here of the handovers at Baleni Camp, Modjadji Camp & Fundudzi Camp.